For a four hundred dollar printer, the Canon Copier ImageClass MF4690 does not deliver enough raw power to justify its price tag. Though the device comes with a large range of versatile features, its print speed and copy quality alone make it sub par for its price range. The inclusion of networking abilities often increases the cost of a multifunctional device dramatically, as is the case with the Canon Copier ImageClass MF4690. Its network abilities, though handy, do not come cheap. That being said, a network MFC as versatile as this is a great addition to the small office due to the face that a range of users can share paper handling hardware, allowing for great overall savings in costs. The standard interface included is high speed USB 2.0, which is great for direct PC hosting, while an Ethernet port makes PC Faxing possible, which allows users to send and receive faxes through a phone line but without ever dealing with a hard copy. The unit's size and weight are reasonable, with a footprint of 15.4 in. x 17.4 in. x 14.6 in. (W x D x H). The device weighs in at just over 30 pounds, making it one of the lighter fully functional 5 in 1 units available. The unit's platen glass is of slightly larger than legal size, but with the help of the built in 35 page automatic document feeder, an 8.5 in. x 14 in. copy or scan can be made. The document feeder is also great when dealing with multiple pages of input at one time. 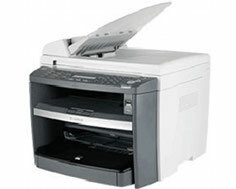 The print speed alone stands out as the major drawback to the Canon Copier ImageClass MF4690. 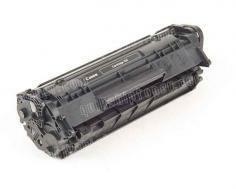 For a 5 in 1 monochrome laser printer in today's market, this speed is very disappointing. Copy resolution is also sub par, as it is selectable up to a maximum of 600 x 600 dots per inch. This probably could have been easily solved with additional included memory, as the unit is fully capable of an optical scan of 1200 x 600 dots per inch, or twice the resolution that copies can be made at. The copy reduction and enlargement ratios, though sufficient, are not quite as versatile as one would hope. With zoom ratios of 50 to 200%, 4 in 1 copies are not possible, though users can utilize 2 in 1 features for combining input. Other copy features include memory sort and a helpful toner save mode, but other than these things copy functions are very bare bones for the printer. Review it: "Canon imageCLASS MF4690 "
Much like all the printers in the Canon Copier ImageClass MF series, this unit utilizes a single cartridge system that incorporates a drum unit and toner cartridge into one. This makes for incredibly easy toner swaps, though the cartridges themselves are of very low page yields. 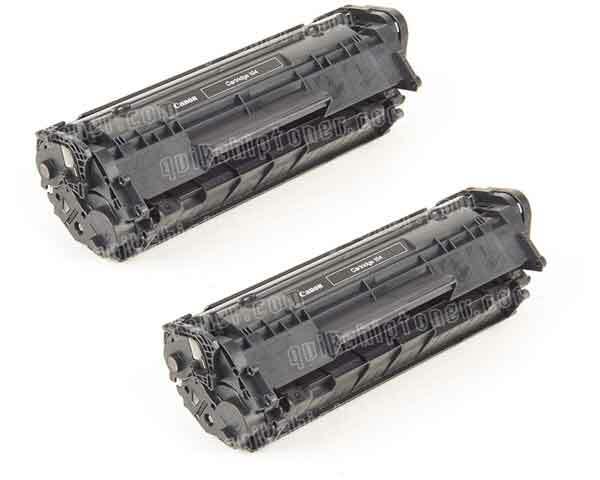 In this case, the Canon Copier ImageClass MF4690 offers toner cartridges with 2,000 page yields at 5% coverage, which cost about the same as cartridges for other brands, but do no require the drum unit.